A second woman came forward Friday to accuse Virginia Lt. Gov. Justin Fairfax of sexual assault. 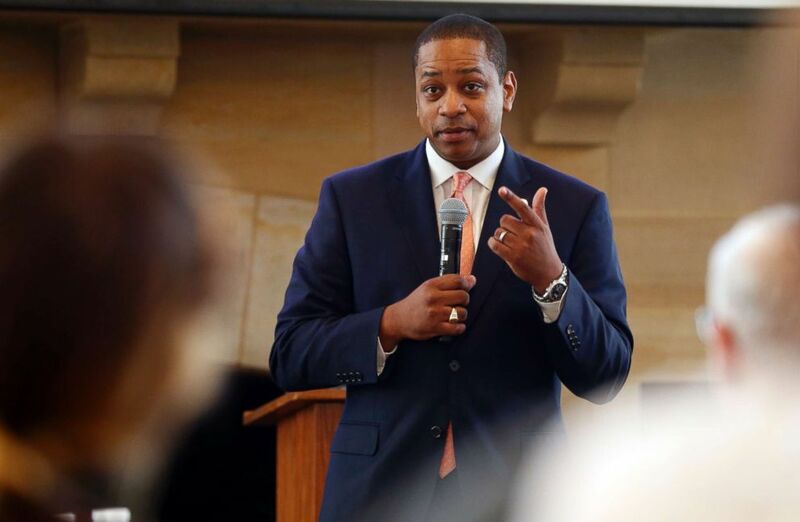 “On behalf of our client, we have notified Justin Fairfax through his attorneys that Ms. Watson hopes he will resign from public office,” lawyer Nancy Erika Smith said in a statement. A Duke spokesman told ABC News that the university had "just become aware" of Watson's allegations and is "looking into them." A different Duke spokesman told The Associated Press that the university's police department has no criminal reports naming or involving Fairfax. The spokesman told the wire service that any accusation made through the school's student disciplinary process would be shielded by student privacy laws. Police officials in Durham, North Carolina, told the AP that they had no records of any accusations against Fairfax in 2000. Still, pressure continued to mount late into Friday night, when Democratic Sen. Cory Booker from New Jersey called for Fairfax to step down and Democratic Sen. Mark Warner of Virginia released a statement saying that if the allegations against Fairfax or accurate, he should step down. Meanwhile, the Virginia House Delegate Patrick Hope said that if Fairfax does not resign by Monday, he will introduce the articles of impeachment. When asked why he is introducing articles of impeachment for Fairfax, but not for Northam or Herring, Hope said Fairfax is being accused of a crime. Around the same time that Hope making his statements, the Virginia Legislative Black Caucus likewise called for Fairfax to resign. 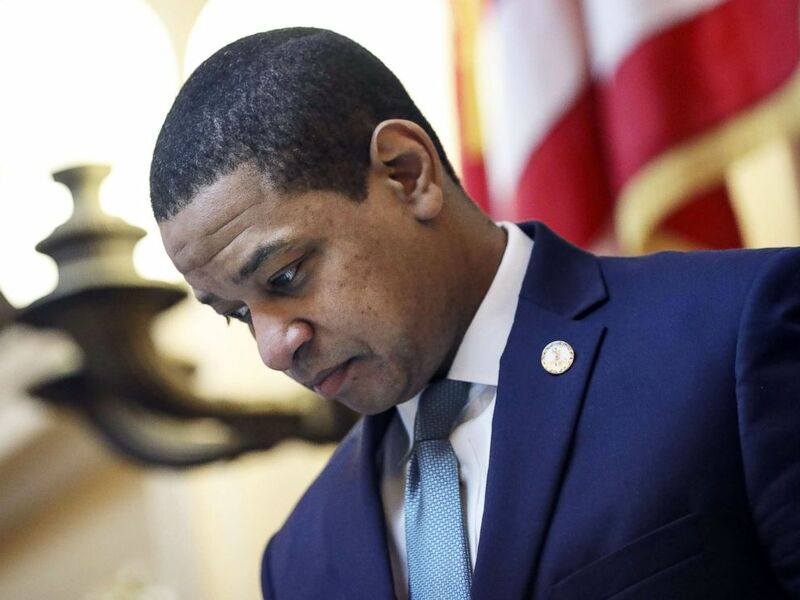 "In light of the most recent sexual assault allegations against [Fairfax], the Virginia Legislative Black Caucus believe it is best for [Fairfax] to step down from his position." "While we believe that anyone accused of such a grievous and harmful act must receive the due process prescribed by the Constitution, we can't see it in the best interest of the Commonwealth of Virginia for the Lieutenant Governor to remain in his role." Fairfax vehemently denied Tyson's claim as well. Following Watson's accusation on Friday, former Virginia Democratic Gov. Terry McAuliffe and Democratic Rep. Jennifer Wexton both called on Fairfax to resign. A number of 2020 Democratic presidential candidates, including Booker and Sen. Kirsten Gillibrand, released statements on Twitter Friday evening calling on Fairfax to step down. Sens. Kamala Harris, D-Calif., and Elizabeth Warren, D-Mass., who are also positioning themselves as 2020 candidates, have called on Fairfax to step down, too. Virginia Democratic Sen. Tim Kaine, who was Hillary Clinton's running mate in the 2016 presidential election, also joined the calls for a resignation late Friday. Virginia House of Delegates Member Patrick Hope, a Democrat, tweeted on Friday night that he will introduce articles of impeachment against Fairfax on Monday if he has not resigned by then. It is unclear if Fairfax's actions will meet that threshold. According to the Virginia State Constitution, "The Governor, Lieutenant Governor, Attorney General, judges, members of the State Corporation Commission, and all officers appointed by the Governor or elected by the General Assembly, offending against the Commonwealth by malfeasance in office, corruption, neglect of duty, or other high crime or misdemeanor may be impeached by the House of Delegates and prosecuted before the Senate, which shall have the sole power to try impeachments."